Tai Shan - Super Inky! This was one of my favorite moments on my trip. 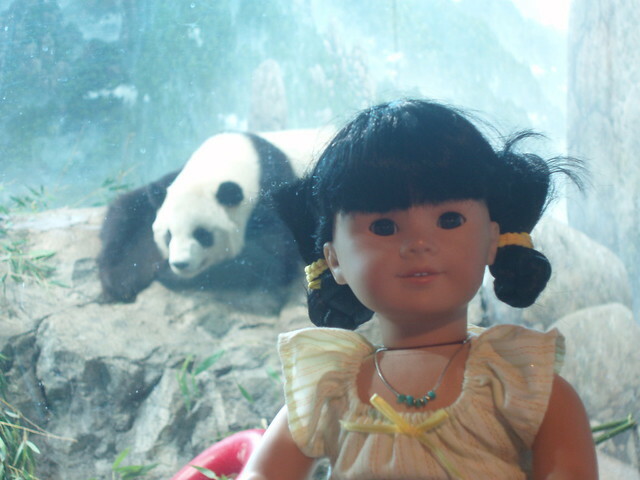 I can't believe I got to see THREE giant pandas! I really wish we had pandas in New York, but in America they are only in Memphis, Atlanta, San Diego, and Washington. There are three zoos with pandas in Europe- maybe we can go to those cities on our next western Europe trip!